National Pi Day is a celebration of the Greek letter “π”, which represents the constant ratio of the circumference of a circle to its diameter — which is approximately 3.14159. You know you remember this from algebra, right? Truth is, I don’t either. What I do remember is that I love PIE! Apple, peach, pecan, pumpkin, chocolate, coconut, berry, lemon, lime, custard… You name it, I like it… And I bet you do it. 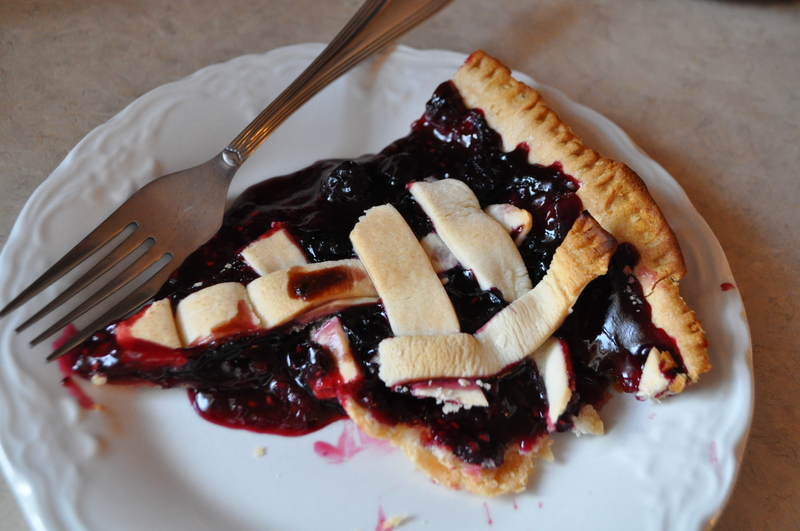 So to celebrate National Pi Day, why don’t you whip up a delicious pie. If you use this recipe, it won’t take much time at all. Preheat the oven to 400 degrees. 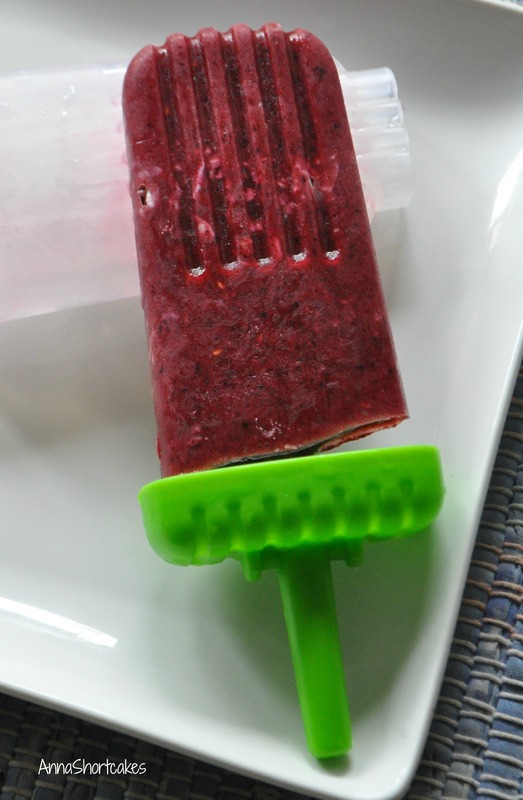 In a small sauce pot, combine the berries, cornstarch, and sugar until well combined. In a 9 inch glass pie plate, lay out the first pie crust evenly. Pour the warmed berries into the crust. 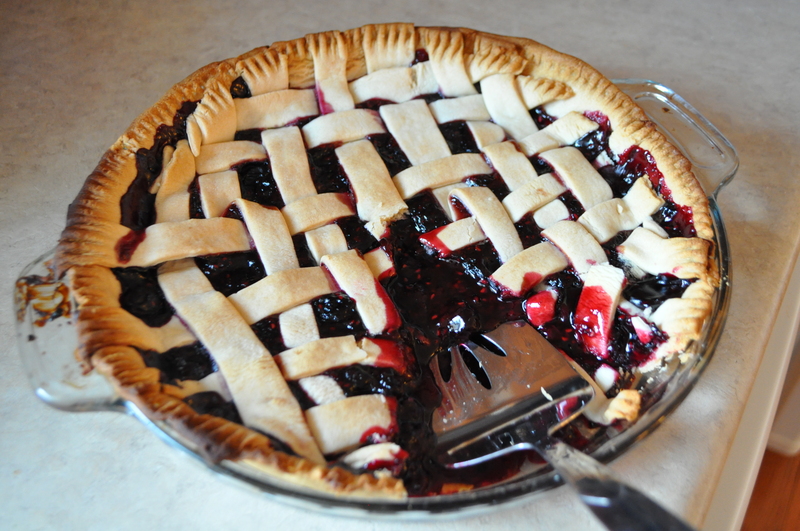 Top the crust as you would desire, using the lattice pattern or laying the second crust over the berries, being sure to cut in some air holes in pretty pattern. Using strips of foil, cover the pie crust edges so they don’t burn. Place in the oven and bake for 30 minutes. Remove the foil and bake another 15 minutes. Allow to cool before cutting. Enjoy!